Barnie Juancan is running late for his open mic comedy night again. He is nervous but once he's done his mic check he's ready to go. 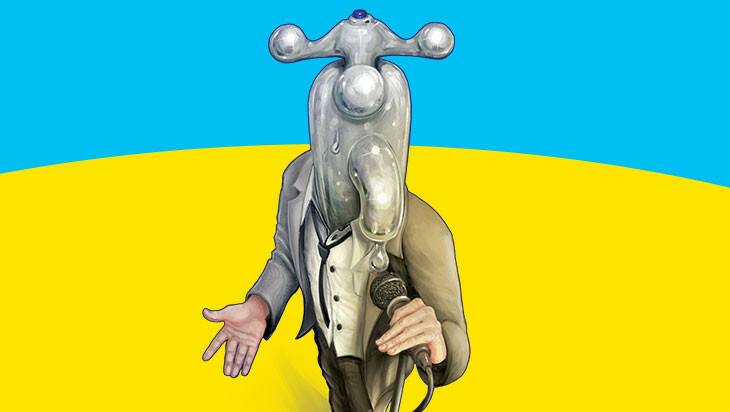 Meanwhile, a tap head called Tap Head is also working on its stand-up comedy and sharing its philosophies on life. With his Melbourne International Comedy Festival show Tap Head, comedian and mime artist, Barnie Duncan, presents two stories of two different beings who probably have more in common than they think. Watching these two beings come to life by Duncan is an extremely rewarding experience and has the audience become heavily invested in their lives. They may appear to be very separate stories - only linked by their stand-up aspirations - but Duncan slowly, and then unexpectedly links, the two together and suddenly everything that has been said seems to click into place. It's always a delight when a performer has such a deep understanding of storytelling that they can surprise the audience with what transpires who are then able to look back at all that has happened and see how the pieces fit together. Duncan's physical comedy has been a constant drawcard to his shows and in Tap Head he ups the ante by completely obscuring his face when in his tap head costume. There is nothing quite as affecting as watching a depressed tap head taking a shower as it dejectedly sobs away the disappointments in its life. Duncan's ability to convey sincere heartfelt emotion with only his body is a testament to his skills as a physical performer. The ending - which Duncan advised us was a last minute addition - magnificently encapsulates what has been explored and adds a touching extra layer to the emotional reading of this show. Tap Head is a whimsical hour of comedy about the impact the little moments in life can have. 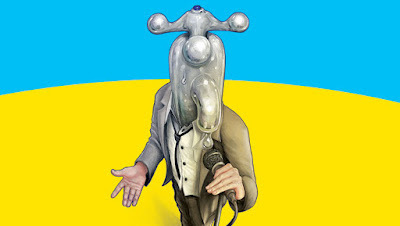 Even with a tap head as a character, its absurdity manages to steer clear of creating any type of spectacle on stage and instead focuses on the heart of the story. What results is a thoughtful and considered observation from Duncan on what make us "human".